YAOUNDE, Jul 24 2014 (IPS) - For the last 13 years, Michael Ndah, 37, has worked for three road construction companies in Cameroon, but it is only in the last two years that his current employer has managed to register him with the National Social Insurance Fund (CNPS). The CNPS is a pension system for workers in the private sector but they can only join if they are signed up by their employers. Benefits also include medical and surgical care and hospitalisation. But Ndah’s CNPS cover does not provide for his family’s health. “When my wife goes to the hospital I cannot use my insurance card for treatment and they say I must first pay in cash,” he tells IPS. The labour code provides that seven percent of a worker’s salary is given to CNPS each month, with the highest salary calculated by the system being 300,000 CFA (about 640 dollars) — even if the person earns above this. It is a contributive system where 2.8 percent of the payments are covered by the employee, with the remaining contributions covered by the employer. But with 640 dollars being the maximum wage allowed by CNPS, overall pensions are low. And it’s a huge concern for Ndah. “I don’t know if, before my retirement, I would have contributed enough to be eligible for a monthly pension payment,” Ndah worries. The number of working-age people who are members of the CNPS is also low. According to the United Nations, about 53.3 percent of the country’s 21.7 million people are of working age (16 to 64 years). But only about 10 percent of them are insured by the CNPS. “All workers in the formal sector are supposed to be registered with the social insurance [CNPS] eight days after signing an employment contract but many employers do not implement this law,” John Yewoh Forchu, a general inspector at the Ministry of Labour and Social Security, tells IPS. The high rate of unemployment here – about 30 percent – favours most employers who do not run organised work environments and are not ready to sign any form of contract with employees. Warda Ndouvatama, a Yaounde-based civil administrator and expert on social security and protection, says that most employers falsely declare the number of workers employed by their organisations to avoid social insurance contributions. 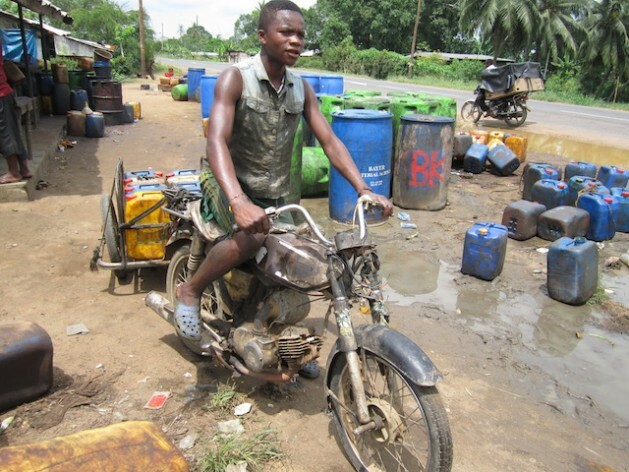 He tells IPS that this phenomenon is not only common in Cameroon but in many African countries where more than 70 percent of the population work in the informal sector and do not have employment contracts. “This has a big impact on the ability of people to cope with present and future eventualities,” Ndouvatama says. While countries in Africa are enjoying higher levels of economic growth and well-being, the latest annual Human Development Report by the U.N. Development Programme (UNDP) says that countries on the continent need to intensify their fight against deprivation. The report states that by providing an additional and predictable layer of support, social protection programmes help households avoid selling off assets, taking children out of school or postponing necessary medical care, all detrimental to their long term well-being. “One commonly held misconception is that only wealthy countries can afford social protection or universal basic services. As this report documents, the evidence is to the contrary. Except for societies undergoing violent strife and turmoil, most societies can — and many have — put in place basic services and social protection,” the report states. Mutale Wakunuma, the Zambia country coordinator of the Africa Platform for Social Protection, agrees. “We all know that there is overwhelming evidence of the role social protection plays in reducing extreme poverty and helping countries recover from crises, but we need these implemented in earnest by governments,” she tells IPS, pointing out that social protection programmes that help reduce poverty are few and far between. “This failure to implement them in earnest is why the report observes that in spite of the progress, sub-Saharan Africa is the most unequal region in the world,” she adds. “There is thus a strong need overall for a people centred approach if growth in Cameroon is to be resilient,” she tells IPS. “To this end there is need for a systemic approach which combines macro, sectoral and micro interventions in a meaningful way that responds to the real needs of the poor. And as a policy tool, there is a strong need for social protection to be mainstreamed into the overall growth agenda of the country. Cameroon, however, is looking to reform the CNSP. Future changes will include increasing the monthly contribution from seven to 13 percent of a person’s salary, creating a security system for informal sectors and universal health coverage that guarantees access to medical treatment even when a patient has no money. Officials at the fund also acknowledge that if nothing is done to get more people integrated in the fund by 2020, the social security system will be grounded. This is because very few formal sector workers and no informal workers benefit from social security and the existing social security does not cover many risks. “The social insurance fund scheme of 1974 is old and major reforms have to be done because we have [a larger] ageing population than before the 1990s. In the 1990s, 10 workers were contributing for one retired person but today 10 workers contribute for six retired persons,” Forchu says. He explained that the system in place is a social solidarity system where those working contribute to help those who are out of activity. *Additional reporting by Amy Fallon in Kampala, Uganda and Friday Phiri in Lusaka, Zambia.